A guided mindfulness and lovingkindness meditation session with Jack Kornfield. 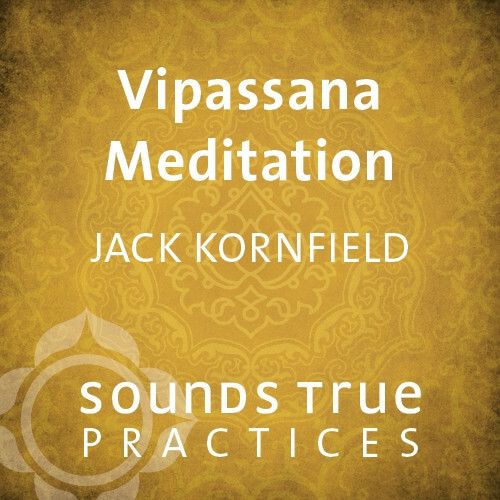 Meditation instructor Jack Kornfield provides you with a clear and accessible introduction to mindfulness and lovingkindness meditation practice, two complementary essentials of Buddhist practice that amplify each other to enrich and expand every moment as well as your connection to your life. Sounds True Practices are short downloadable audio sessions selected from our most popular courses. Affordably priced and ideal for beginners, they're a powerful way to use energy healing, guided imagery, meditation, and other proven practices at home or on the go. Put them on your smartphone, MP3 player, tablet device, or computer, and start experiencing their benefits today. This session is excerpted from Jack Kornfield's CD program Buddhism: A Beginner's Guide to Inner Peace and Fulfillment. I like very much Jack Kornfield's presentations. And the Sounds True websites. The Vipassana Meditation as well I think your online offerings are nobly valuable in these stressful times. And I am mentioning them to others.